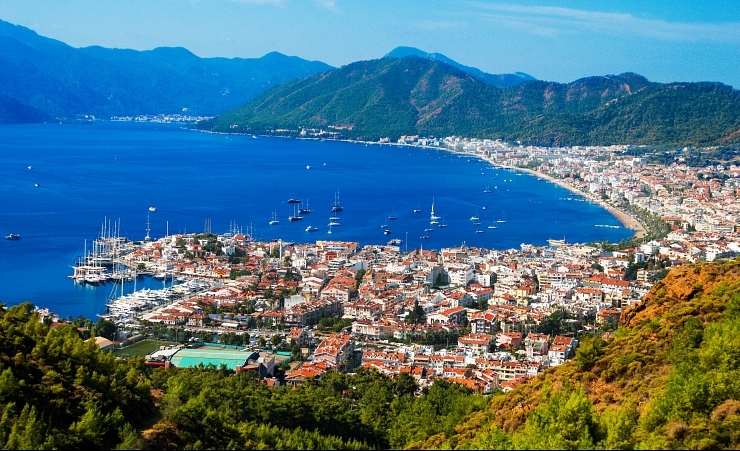 A popular seaside resort town for locals and tourists alike, Marmaris makes the best of its setting between mountains and sea. Close to the sandy stretch of Icmeler Beach and the starting point of scenic mountain strolls, visitors to this area can enjoy a wide range of leisure activities. Icmeler Beach, situated 8km away from Marmaris, offers beachside lounge chairs, local lunches and water sports for the more adventurous. Alternatively, head offshore to the fine sand and warm waters of nearby Cleopatra Island, so named because it was a wedding gift from Mark Anthony to Cleopatra. For those looking to enjoy attractions closer to central Marmaris, the marinas of Marmaris are a popular jumping-off point for a day of sailing or diving. Uncover the history of the region with a visit to the Marmaris Museum, where the exhibits and artefacts on display date back to the Ottoman Empire. Enjoy a leisurely afternoon as you browse through the town bazaar, shop for local mementoes or sip on Turkish coffee. 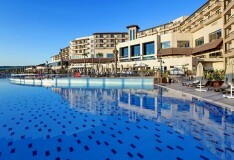 Marmaris experiences a hot, dry summer and mild winter, making it the ideal destination year-round. Marmaris is a popular tourist resort.